You won't see these Asians cranking out numbers on their calculator outside of tax season. The Asian American Arts Alliance confronts the prejudices hindering Asian American artists by supporting Asian American arts and cultural groups in NYC through funding, visibility initiatives, and access to more resources. The Asian American Arts Alliance is a group of artists, organizations and individual supporters who understand the importance and influence of art in society. By encouraging growth within the Asian American arts community, it hopes to strengthen the political and social voice of Asian Americans. It serves nearly 60 Asian American art groups and individuals in NYC, consisting of a diversified bunch: from new immigrants to fourth generation Asian Americans, from traditional performance art to modern film. "When our work is often behind the scenes, it's meaningful to be here to showcase how far we've come", comments Executive Director Lillian Cho. The Asian American Arts Alliance regularly holds events that give artists an opportunity to showcase their work. Soundfest is a free, public event held in NYC Chinatown, featuring local Asian American artists breaking into the music world from the hip-hop to the jazz to the traditional perspective. Its Annual Asian American Arts Alliance Gala engineered for more highbrow audiences, includes cocktails, dinner, art performances, and a silent auction. Some of its programs include SOAR (Small Organization Arts Regrant), providing grants to help small organizations get an extra push; eVOICE, a free online service for artists to promote their work; Culture Pass, offering discount coupons for art exhibitions to further expand the audiences, and regular member meetings, a networking tool for artists to discuss issues and share work. For more information, go to http://aaartsalliance.org. Every Asian American has wished for an end to American ignorance about Asia and Asians. There's no magic pill, but Asia Society has been working to fill the void. Its tireless program of exhibitions, films, performances, lectures and conferences have added a classy, highbrow luster to the richness, complexity and beauty of the peoples and cultures of the over thirty nations that make up the Asia region. It's a badly needed counterpoint to the masses of Asian stereotypes born of hysteria and low-minded sensationalism. Recognizing the importance of opening American minds while they're young, the Asia Society's K-12 initiatives push for adding more Asian culture into the American educational system and public life. Those in international business will appreciate Asia Society's policy and business programs as well as its longstanding dedication to more dialogue and exchanges among political and cultural leaders on both sides of the Pacific. 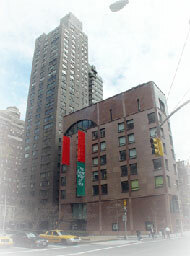 The new Asia Society and Museum building at 725 Park Avenue (at 70th St) offers total immersion in Asian culture among likeminded others. The Asian-accented Garden Court Café provides a congenial ambience for discussing the Society's offerings. Regional centers in Northern and Southern California, Washington D.C. and Texas also provide exhibitions, lectures, films and other cultural opportunities. The Society's media offerings now include sites like askasia.org and asiafood.org in addition to various publications. Asia Society is a nonprofit, nonpartisan educational institution founded in 1956 by John D. Rockefeller III to promote better understanding between Asians and Americans. It is supported by donations from patrons as well as by contributions from foundations and corporations.